Grape is a woody vine that produces clusters of edible berries. 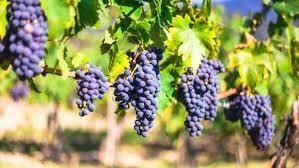 Grapes are currently being grown in Kenya, especially in Naivasha and Meru. They can be eaten raw or can be used to process wine and other products such as jam and grape juice. There are plenty of health benefits in consuming grapes for they are a rich source of Vitamins- A, C, K and minerals such as iron, copper, manganese. Grapes are widely cultivated all over the world due to the fact that they are non-climatic and can thrive in different climatic conditions but they prefer warm to hot temperatures. Grapes are suitable for home gardeners and for small scale or large scale commercial production. In Kenya, grapes can be used to reduce economic and food insecurity because there is a good market within the country. There is ready market throughout the year and new wine companies that use grapes as their main raw material are setting shop in Kenya. Established companies such as East African breweries ltd are thinking of entering the wine market as they seek to diversify. The future of this crop is promising. A good percentage of the grape consumed in Kenya is imported and mostly sold to the high end market that pays a good price for them- a kilo goes at around 400-500 Ksh. Wine producing companies such as Kenyan wine agencies do import the grapes they use because of the good quality of imported grapes and lack of local supply. For bookings and more information, kindly visit our offices.